Everyone can use more space in their lives. Whether working outside the home or staying home with the kids 24/7, a Mom’s job of condensing clutter is a never-ending battle. Here are 5 ways to store your stuff more effectively. Areas If you’ve ever stood in a room and wondered where to start, you’re not alone. Identifying those troublesome areas is the first step to organizing your home. Junk drawers, desks, sewing tables, craft areas and filing cabinets can all be areas heavy in clutter. Finding them is the first step in tackling messes. It’s easy to get into storage mode with almost anything. Over time, both priceless and useless items get piled on top of each other. Grab two trash bags and a plastic storage container. One bag for donations, one for garbage and a container for what you intend to keep. Don’t forget to label those boxes. You will thank yourself later. When a city can no longer spread out horizontally, they build vertically. This concept can work perfectly in your own home. Stack storage containers UP rather than OUT. Attach some shelves behind a closet door. Buy a new or used bookshelf. Vertical space can be found everywhere in the home. Sometimes you realize you don’t have enough space in your home. 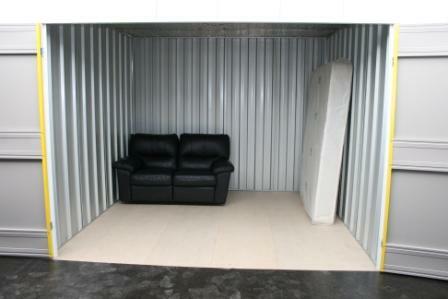 You can invest in an outside storage space such as Louisiana self storage facilities. They are secure and rid you of the constant re-organizing as you attempt to keep the home clutter-free. Make sure your items are kept in safe, airtight containers and breathe easy knowing you have more space at home. Maintaining your past and present clutter is imperative. Over time, those clean spaces get packed with more clutter. Pick an interval based on your workload: once a day, once a week or once a month. Then donate, store or throw away items. This is an effective way to stop excessive clutter from ever taking over your home again.